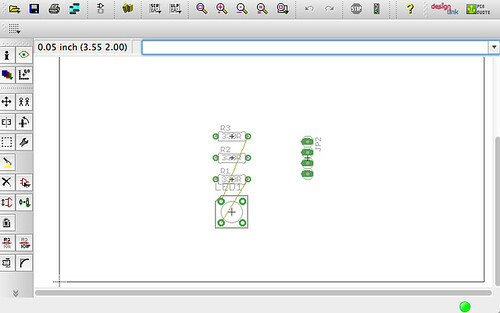 I had a chance to design a circuit board using a software called Eagle, and get that board manufactured using a service called OSH Park. 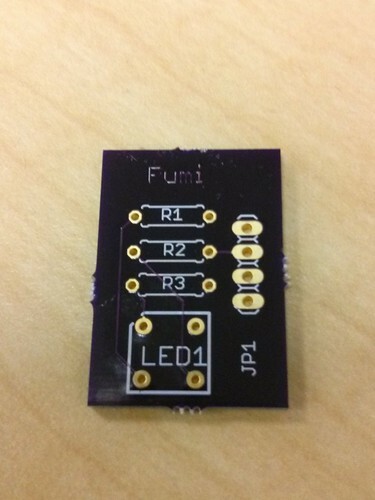 What we created is a simple breakout board for an LED whose pins are spaced 0.2", but won't fit a breadboard because there's nowhere to plug it in. 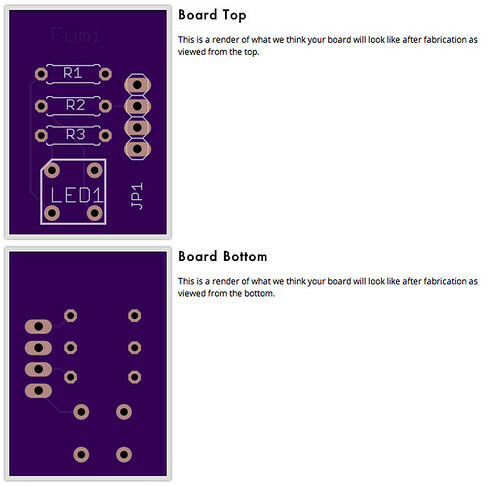 So we created this board that connects the LED, 3 resisters, and a way to connect it to the breadboard. 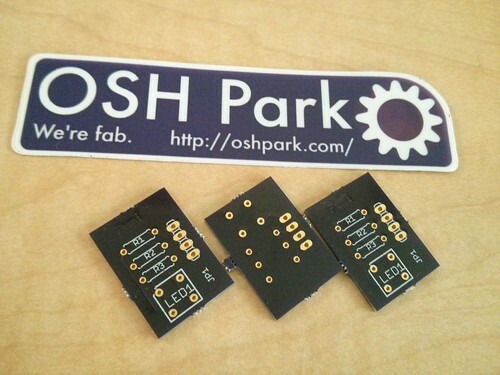 What I thought was very cool was that there is a service called OSH Park, which is a community printed circuit board (PCB) order. They take designs from lots of people, put them all together on a panel and then order the panel from a fab. 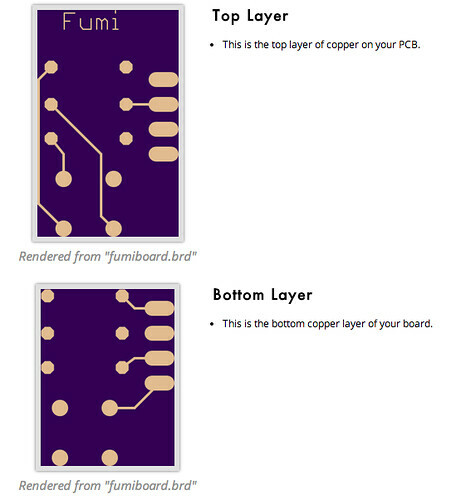 Since they're all splitting the panel setup cost, this lets us make circuit boards inexpensively. 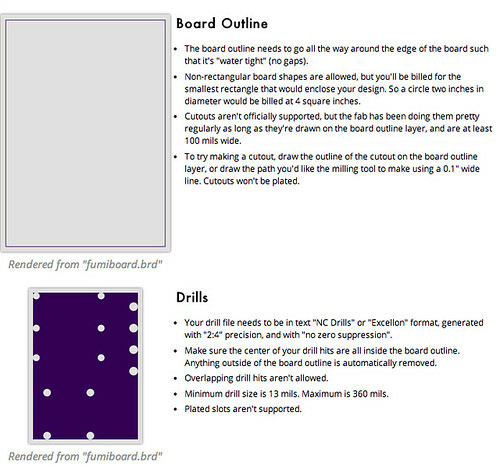 When I uploaded my board data, they convert it like this. I think the price differs based on how big your board is. 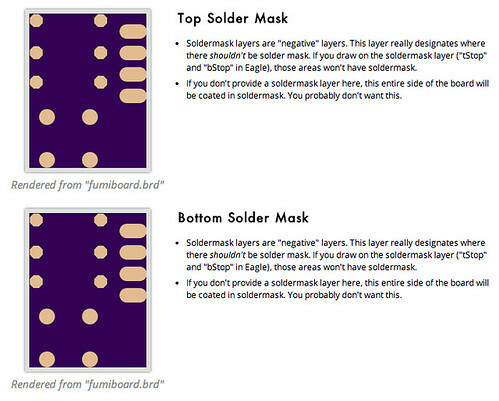 Since mine was a test, and it was really small, it only cost $3.85 for 3 boards, including shipping. Amazingly inexpensive!! Thanks to Tim Hatch for teaching me!